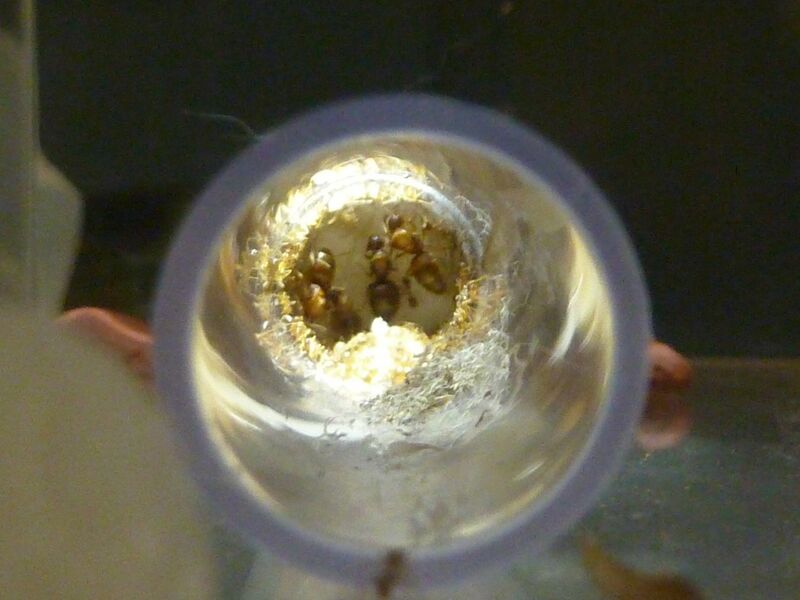 Here I took 4 young colonies of Prenolepis imparis, Winter Ants, and allowed them to share the same foraging area. I've had success in the past getting colonies to combine this way and wanted to try it again. Colonies were almost forced to step over a rolled up napkin soaked in 1:1 sugar water. Upon meeting only minor aggression was shown towards the other before they started sharing food. Colonies started exploring one another and began moving into one nest. They're a little to far into the tube for my camera to take great photos of. Though I'm sure if I tried really hard I could come up with something.